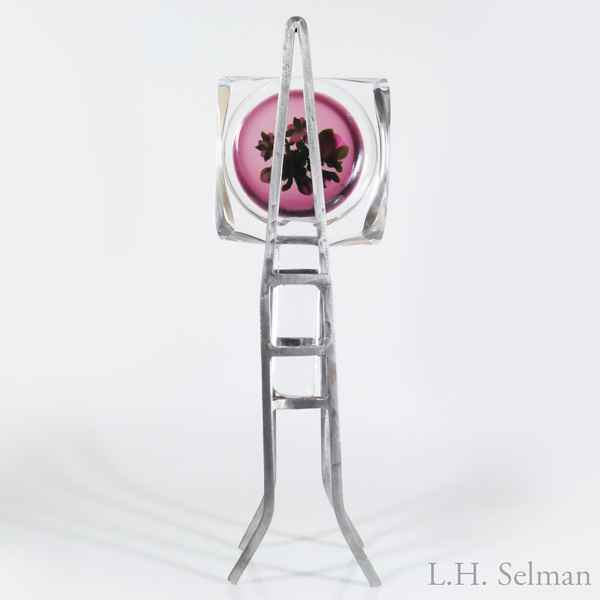 Ken Rosenfeld sculpture of lampworked and fused glass on a welded steel base. 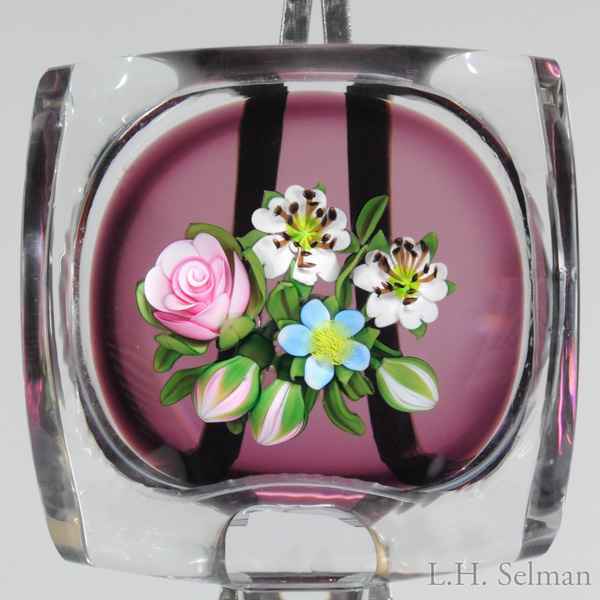 The glass section contains a bouquet with a pink rose, two white flowers, a blue flower, buds and green leaves, on translucent amethyst ground. Signature cane. 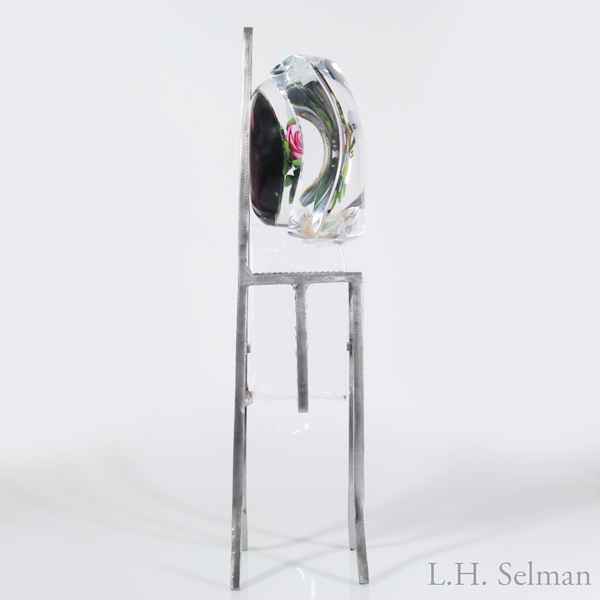 Curved glass front and rectangular glass base. Tall, welded, steel frame. Height 13".